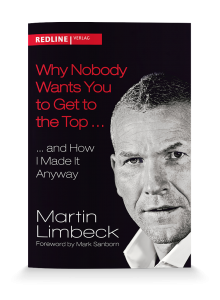 Martin Limbeck is no tiresome sales theoretician but a true practitioner dedicated to enhancing performance, motivation, and sales results. In his role as a sales trainer, speaker, and coach he inspires his customers. Martin Limbeck stands for clarity, truth, and honesty. Martin Limbeck was nominated for the category “Developing creative solutions” and also won the monthly award in March 2015. Last year, a total of 1903 people voted for the entrepreneur from Königstein, and 337 personal comments regarding collaborations with Martin Limbeck were submitted. Posted in News. Tagged 2015, Exemplary Entrepreneur, Homepage. Posted January 6, 2016 by Martin Limbeck.